How to Make Money Online for Beginners, The Fun Way! 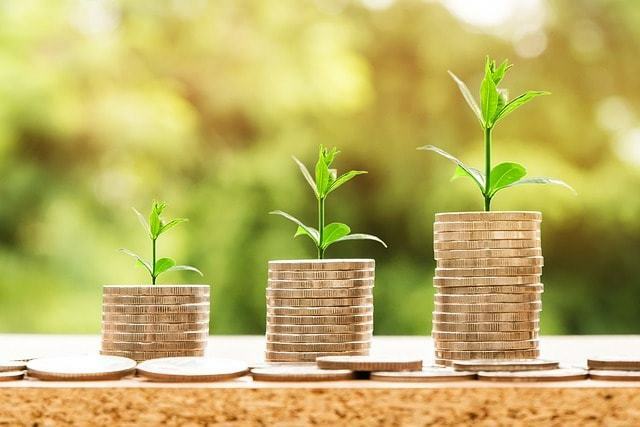 Are you asking, “how can I make money from home?” You know the opportunities are there but when you’re first starting out your personal roadmap may be unclear. Can you earn money online without any investment? Can you really make money online? Absolutely! And if you’re one of these people who want to live out the life you desire, create more time for yourself and do what you love then this post is for you! 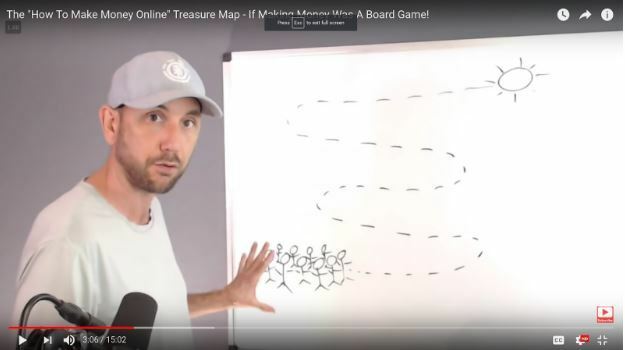 I’m going to break down how to make money online for beginners with a fun approach that will help you put this online game into perspective. Making money online is a lot like a board game. There are steps, characters and that elusive goal at the end. But if you want to win, you have to know how to play the game. Let’s get started and bag the prize! If you like to make money and love helping people, raise your hand! Great! Then you have the desire to embark on this how to make money online for beginners journey. You don’t need fancy overpriced courses or what the fake gurus are selling to join the game. But you do need to understand the mechanics. For starters, you have a destination, a group of people as the characters and a map. How do you make money online? You learn how to play the game. You take the steps needed to grow your content, grow your audience and ultimately, grow your online business. When you help your audience solve a problem through the content that you create, that’s what keeps the money rolling your way. Some problems you set out to solve are going to be bigger than others. Your customer lifetime value will depend on the size of the problem. A person who needs help building a resume is not going to necessarily be a returning customer. This type of audience has a one time problem to be solved. The kind of problems you want to help your audience with are those that will allow you journey with your audience, and build a relationship with them as you help them to their end goal. For example, if we look at a golfer who wants to improve on their game. There’s going to be a lot of things you can offer an audience in this niche. There’s magazines, special gear, specific exercise routines and diets to improve performance. You’re not boxed into just one little offer when you help a group of people like this. It’d be the same thing if you were to say, help your audience learn how to garden. There are many variables in teaching suburban agricultural and that’s what you want. To be of service to an audience that you can serve over time to accomplish a goal or find a solution to a need they have… That’s your objective as a business owner. You want to seek out an audience that will need you on a long term basis and will become a returning customer such as a golfer or a gardener or a person living with depression who would need lifestyle advice, activities to help overcome depression, etc. The AIDA framework or the Attention, Interest, Desire, Action method is both a mindset and process your audience goes through before they become actual buyers or customers. 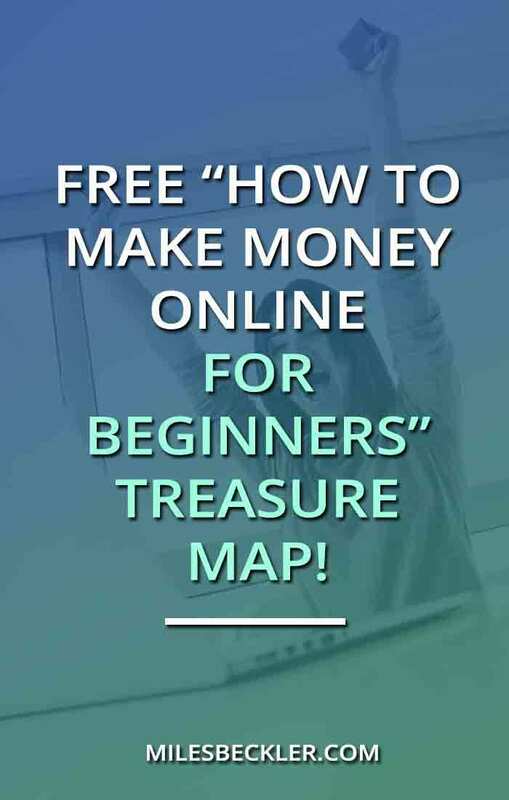 I take you through this make money online treasure map in this video if you would also like to watch, check it out! So let’s go over the AIDA framework so you can win at the how to make money online game! Your audience is on Facebook, on YouTube, on Instagram, or Pinterest. They’re on the web and on a handful of other apps or websites on their phone. They scroll up and down until something catches their eye and stays there. Then they encounter a piece of content, your well-written blog post, your awesome YouTube video, your inspiring podcast. On the attention level, some posts hold more value than others. A YouTube video, a blog, or even a podcast have a higher level of attention from your audience as compared with an image or a meme or a social media one-liner status update without anything else that follows it. However, organic Facebook traffic, Pinterest marketing, and Instagram Marketing are all valuable ways to present your content and offers, even if your blogs, podcast and videos have more valuable attention overall. Don’t go all in on everything at once, the most successful way is to start with one of the content pillars of the DIY content marketing strategy. The 5 stages of online business success are what you’re doing here, transitioning from the information age to the new era of attention marketing. Now that attention has been captured, let’s go to the next phase. At this point, we’re now moving these people from the attention level to the interest level. This is where attention is held. They’re excited and they become interested enough to want to know more about what you have to offer. You offer more value to them through your great opt-in pages, they click and subscribe. You know your audience is interested in what you’ve got once they’ve clicked on your link to read more about your stuff. Engage with them and craft your best email marketing strategy. More valuable content with every email, continuing to give them what they want and keep their attention on you, deepening their interest in you and your products. So keep the interest going with inspiring and relevant pieces of content, and opt-ins that will continue to fuel their interest in what you offer them. Next level up in the how to make money online game is desire. You go deep into uncovering your audience’s wants, dreams, and desires. Uncover and enhance the burning desire for your products and services in an ongoing problem, make money online treasure is within reach. This is where you want your audience to get to. The 5th stage of prospect awareness, taking action and pushing a buy button on your information product or a great presentation of an affiliate offer. Of course you want them to do all of those things but really, the goal is to get them to click the buy button, refer you to their friends, and keep buying from you. Maybe you solved a small problem, a big problem or a mid-sized problem. But you solved a problem nonetheless and that’s what matters to your customer. And they’ll start telling other people, their family, friends, colleagues who are having that same problem that you can solve. Over time your audience keeps on growing and you continue creating content and learning about your audience and help to fill their desire to find a solution or solve a problem. You just keep on playing this “board game” with all the steps nailed down, characters and destination defined, and it becomes easier and easier the more and the longer you keep playing it. Let’s define the different elements in this game and get acquainted with the game mechanics. How to make money online all starts with an audience. Your audience is going to be a group of people who have needs in your niche. They have a problem or desire that’s currently unfulfilled which is what makes up a market. As an internet marketer, your goal is to discover these underserved people, these are the real characters you’ll be working to serve in the game. You want to find your perfect customer avatar, not someone who’s looking for one-time purchase solutions like how to write a resume. Your customer lifetime value is an important component to make money online. The group of people you’re looking to help needs to be those individuals who are willing to make multiple purchases and become a lifelong customer because you can fully help in delivering a solution to them. Golfers, for example, are really enthusiastic about their game. They’re looking for magazines, the latest golfing equipment, exercise DVDs to get them in shape and play well… And the purchases they make keep on recurring. This kind of customer is music to your ears, helping you make money online and build the lifestyle design you set out to at the start of the game. 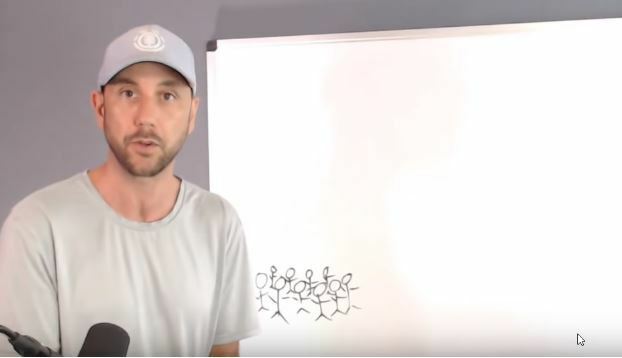 You’ve decided to play the game and become an internet marketer not just because you’re looking to make money from home but because you know you have something to offer. You have your own backstory, history, expertise or professional experience creating your own unfair advantage to solve their needs and give them what they desire to achieve. You were once in their place and have reached your destination. Now it’s your turn to take your audience in your niche market from where you once were to where you are now. The next part of the game mechanics focuses on destination. The primary goal for any business and your personal destination is to make money. More importantly, in the how to make money online game, the destination is about where your audience wants to go. 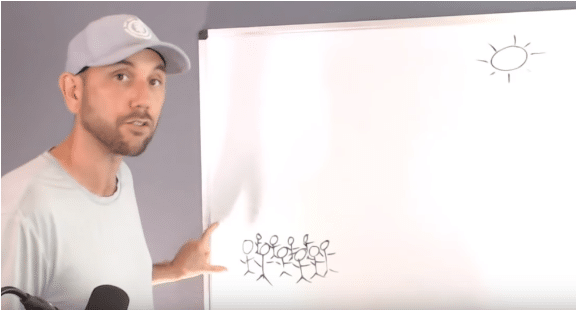 Your goal is to take your specific group of people in the niche you choose and get them from point A, or the area they’re currently at to point B, or the fulfillment of their desire. You want to cover all bases, take on the market research and offer what they may not have even realized they needed. Do the competition research, learn how to use Google Trends for market research which in the online business game, is like an insight card, or perk. That’s the goal of how to make money online fast game. To get those people, your audience from the starting point to the finish line. The bigger steps you take, the more effective your strategy, the faster you can get to your destination. The steps you need to take are all about the big picture, while working out the finer details that will get you to it. Once you nail down the path you need to take for the game, you can absolutely make money online without an investment. There are mile markers along the path and you want to bring your audience through to each one. Some people will join the game at later times so as you go, you’ll also be working to set up systems like your great opt-in pages, your lead magnet, and your funnel. You’ll also be working on actualizing the three pillar content marketing strategy, hopefully with a 90-day content creation challenge, so there’s always something new for your existing audience. At the same time, you’re building up your repertoire to become an authority in your niche. This path allows you to become their trusted advisor when you lay out your content in a way that builds towards the end goal. How far or how fast you can get these people to the goal, that’s the equivalent of rolling the dice and getting farther and farther in your game as an online business owner. If you think about your business as a board game with a group of people to deliver and walk over towards the goal, then the whole process becomes easier to comprehend. The game is simple, the needed mindset shifts are the make or break. People are looking! So get started on your treasure map! Define who your audience is, nail down your steps to success, and get them to their goals as fast as possible. I hope this post on how to make money online for beginners helps in getting you to figure out the easy, logical steps to make money online fast without or with minimal investment. 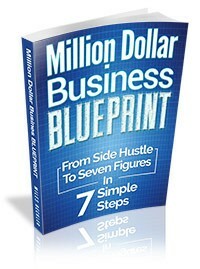 Here’s a free 7 step course walking you through how to go from side hustle to a million a year business. Hit me up if you’ve got questions and I’d love to help ya out in any way that I can. Catch you soon!